Nothing convinces people like seeing it. 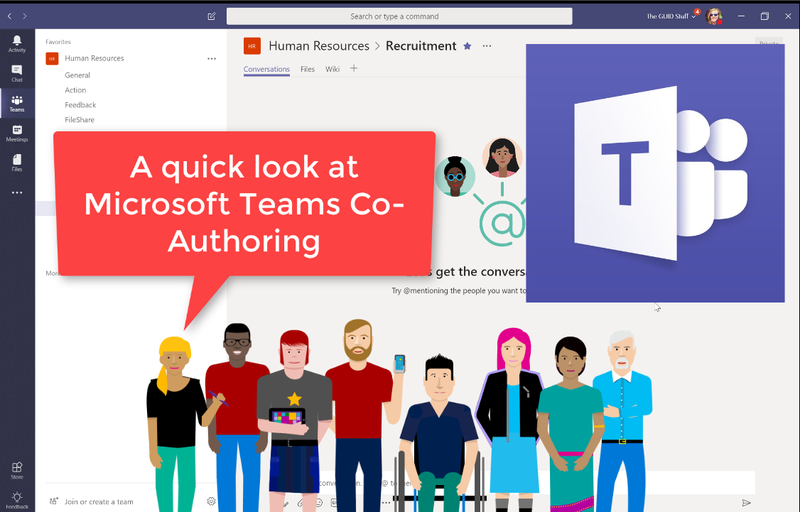 Let me show you how easy it is to co-author a document in Microsoft Teams. Of course you also have the ability to have a chat on the side while doing so. Really a great way to get work done, faster, and it’s a lot easier than you think. Purpose of this blog challenge: I will write 365 blogs in 365 days around Microsoft 365. I did a similar challenge with Office 365, blogs can be found https://tracyvanderschyff.com/microsoft-365/ . I won’t just be talking about the new Microsoft 365 subscription model. I will be sharing any news, tips and tricks around Office / Office 365 / Windows / Mobility and Security. And let’s not forget all the great new Apps & services available. A lot of what I’ll share on Office and SharePoint will also be applicable to none “Office 365” versions. Disclaimer: I create content about Office / Microsoft 365. Content is accurate at time of publication, however updates and new additions happen daily which could change the accuracy or relevance. Please keep this in mind when using my blogs as guidelines.